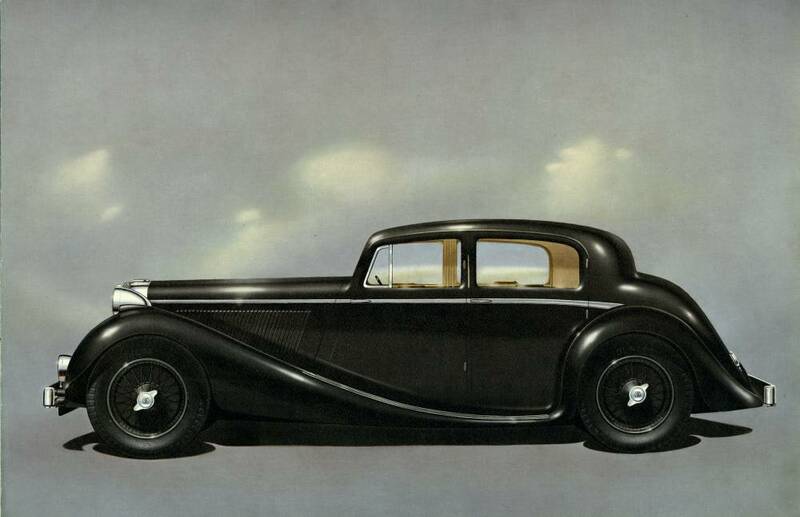 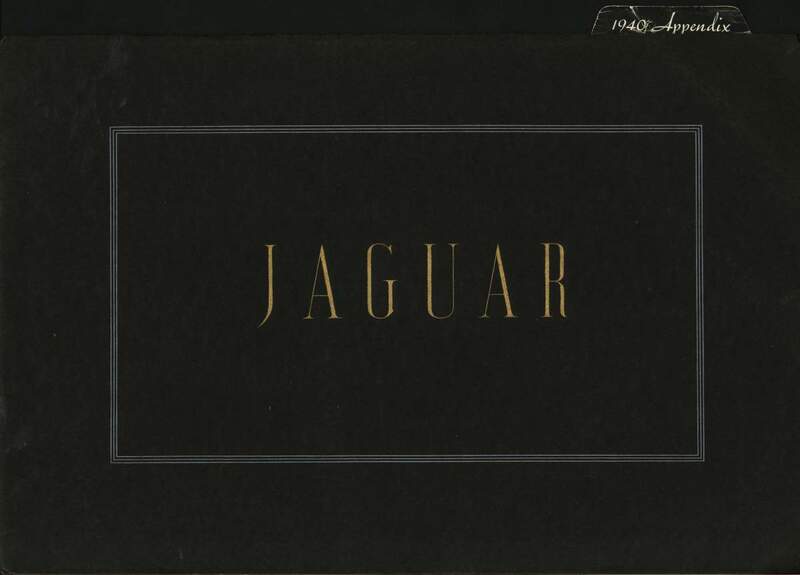 This very scarce and beautifully illustrated prestige showroom catalogue for 1940 with thick black card covers was produced in large format and first issued in 1938, with a very similar version for 1939. 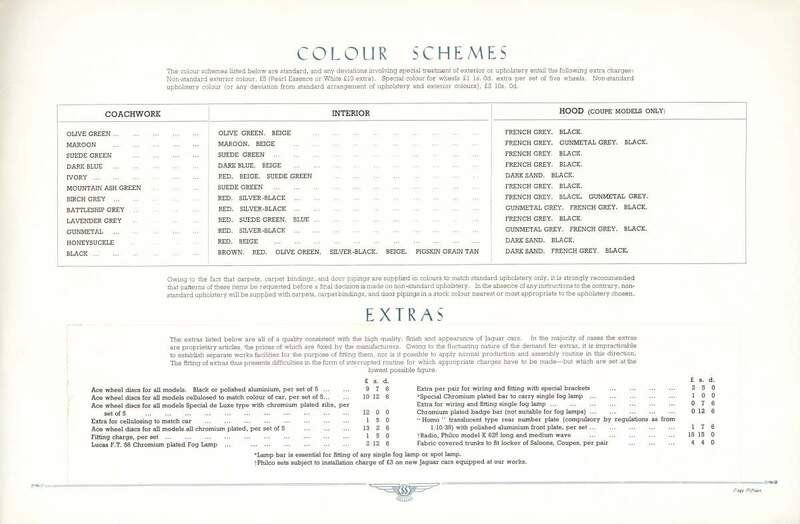 This final version is for 1940 and differs in having gold cover lettering (the previous versions had silver) and an additional 4-page tabbed insert describing the improvements for that year. 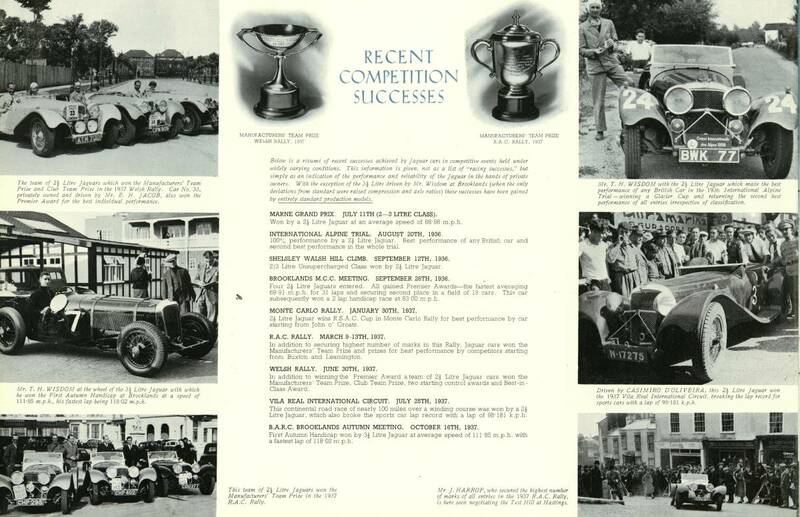 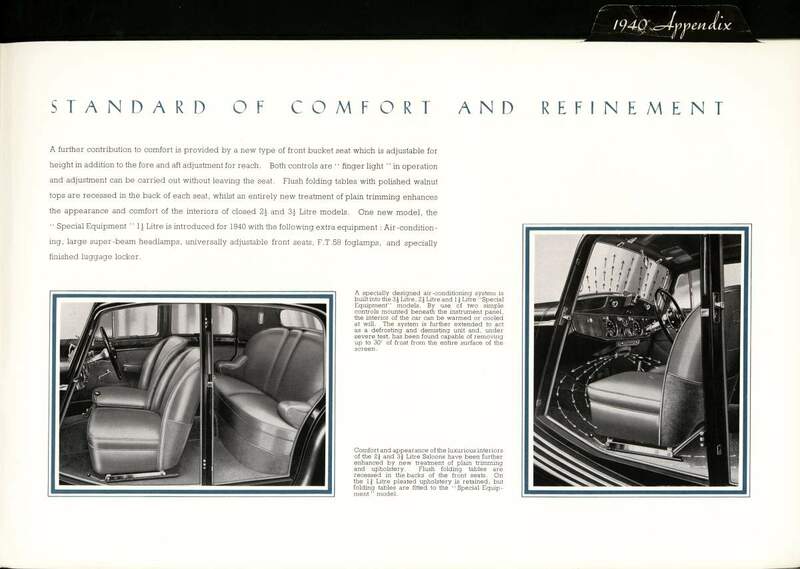 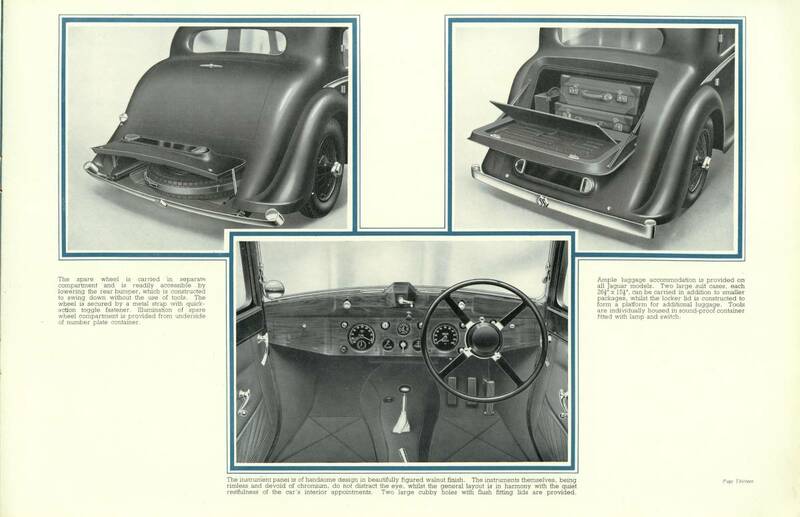 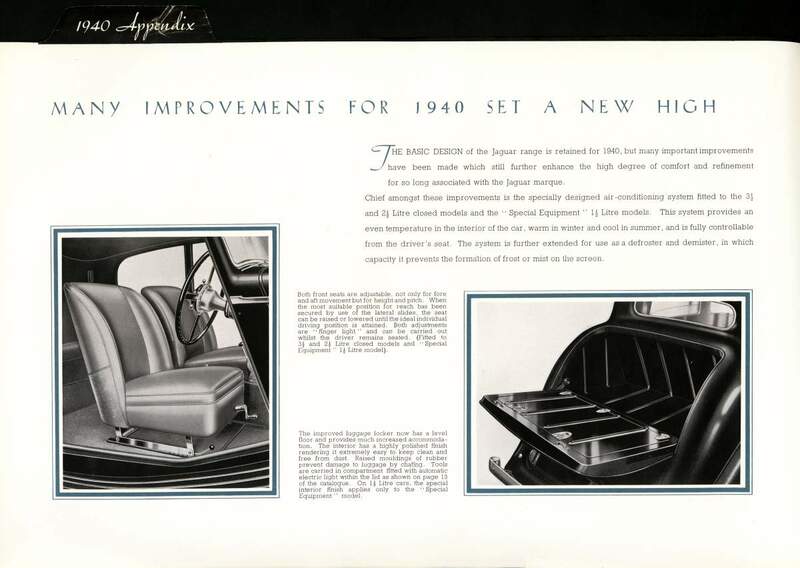 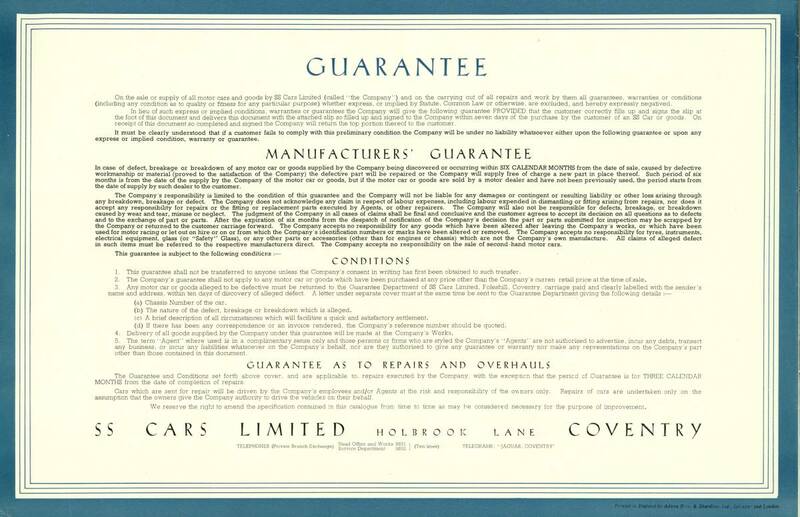 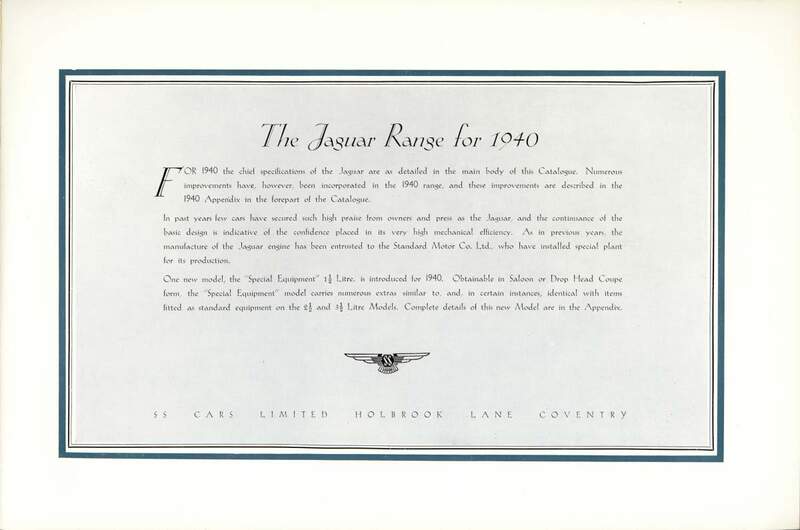 This insert was fixed with adhesive to the front of the existing text for 1939, changing only the introduction description and the accessory details where a label with revised wording was affixed to the previous version. 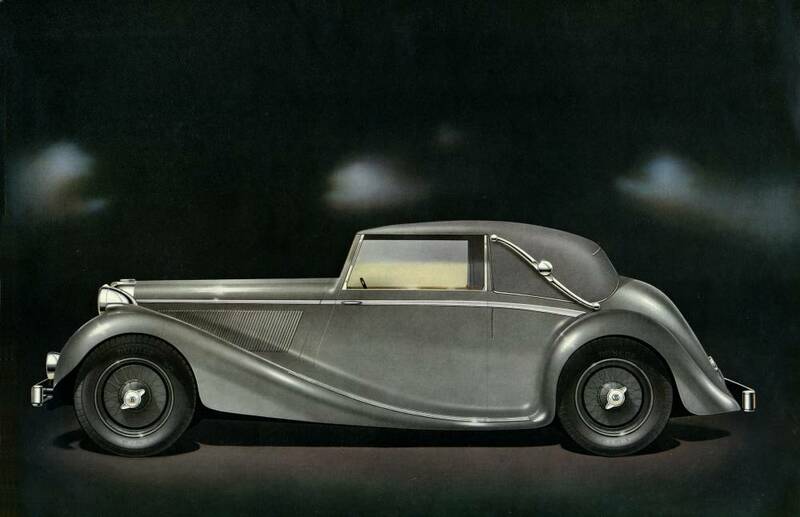 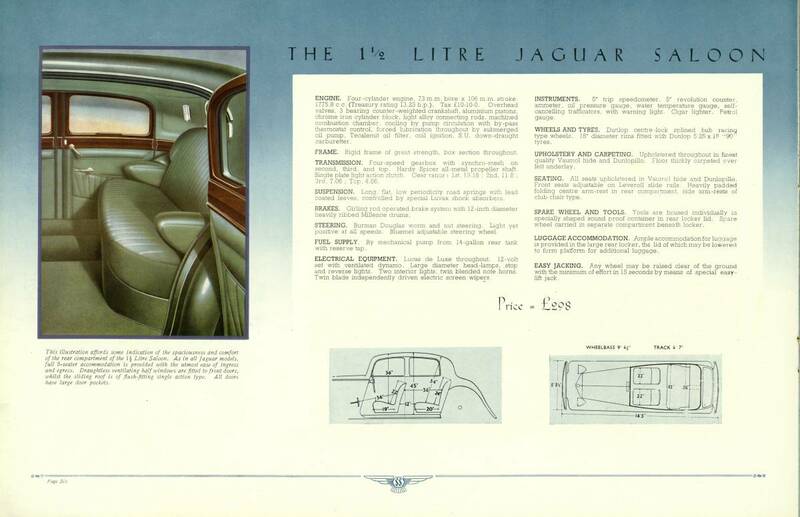 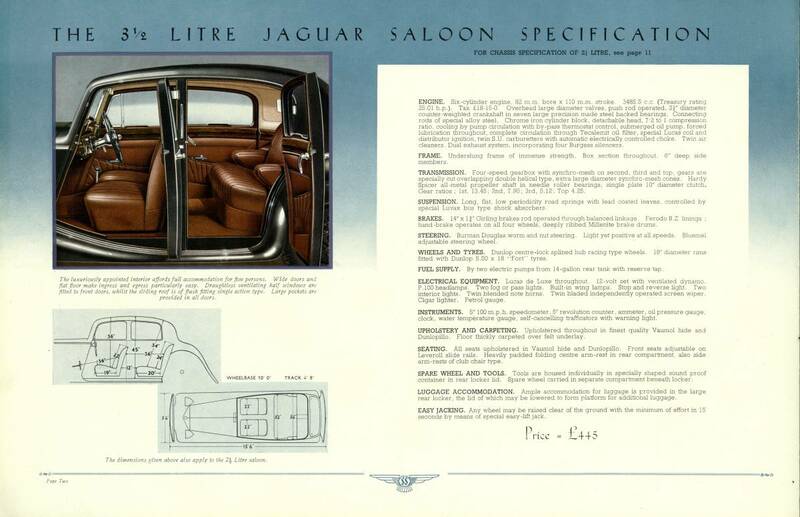 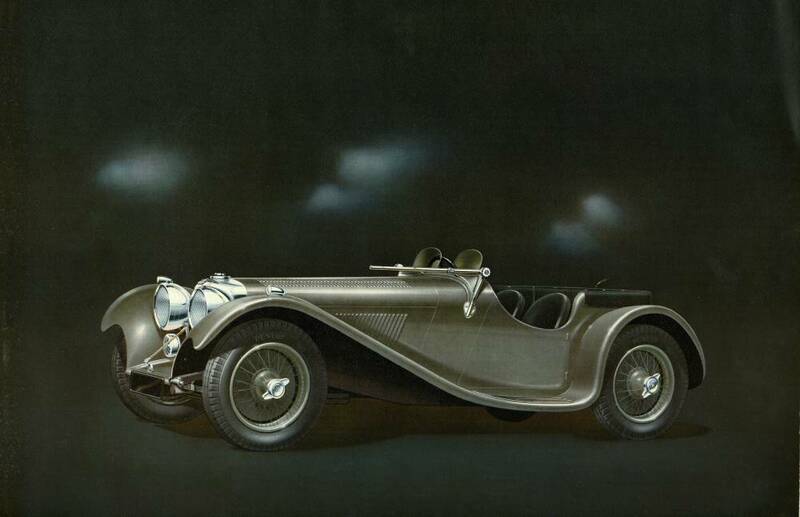 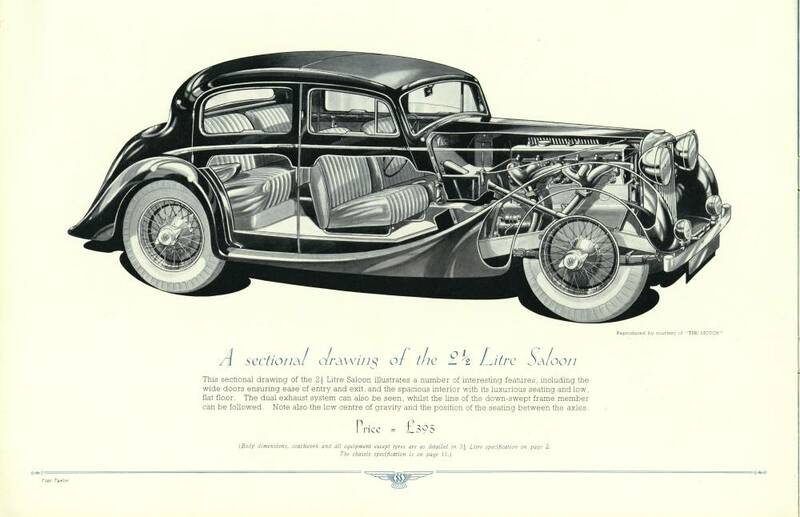 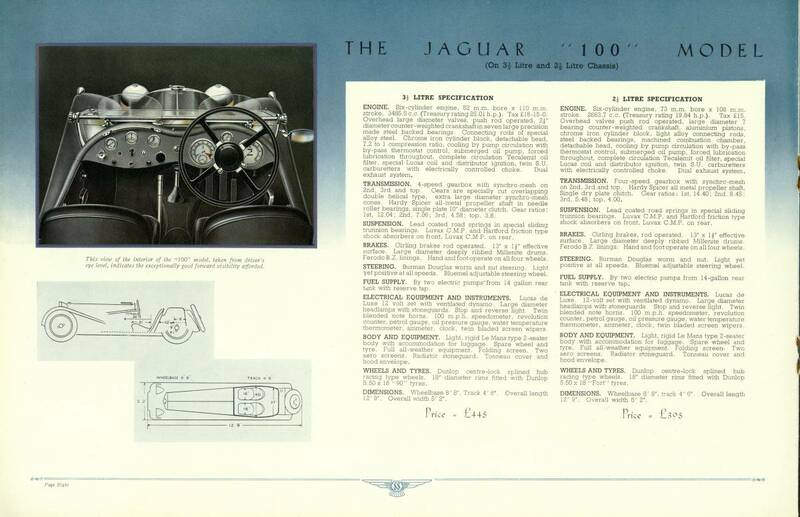 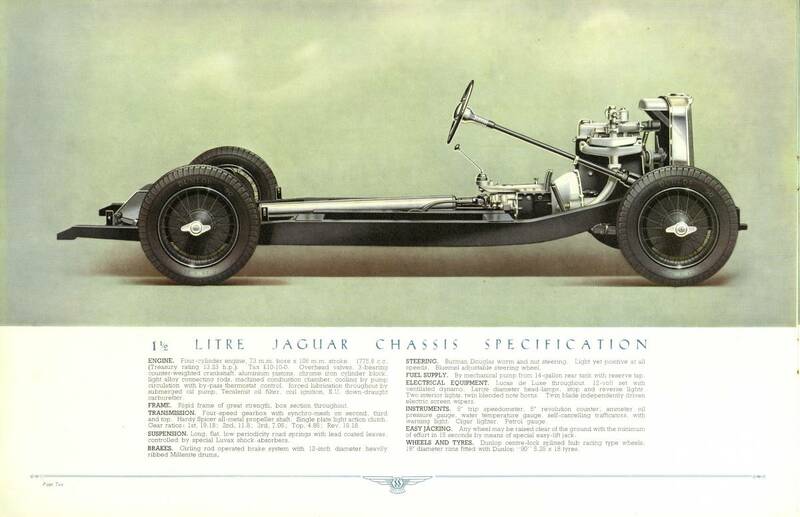 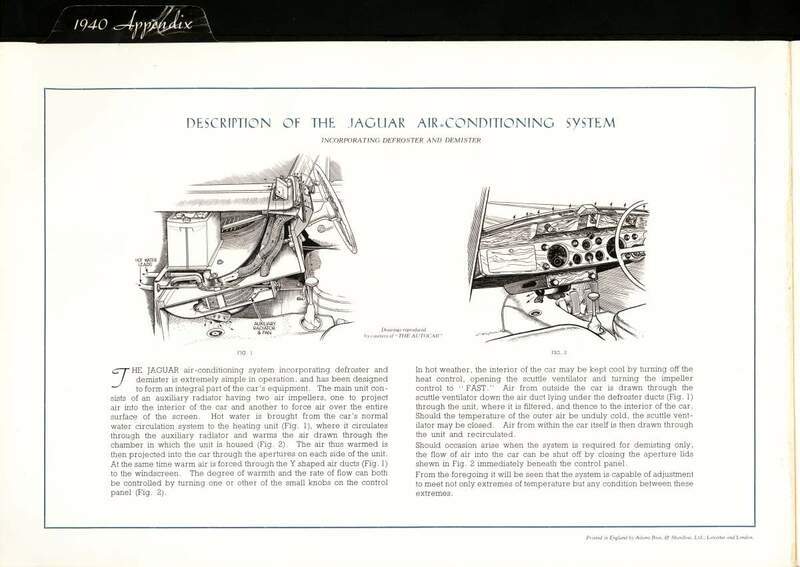 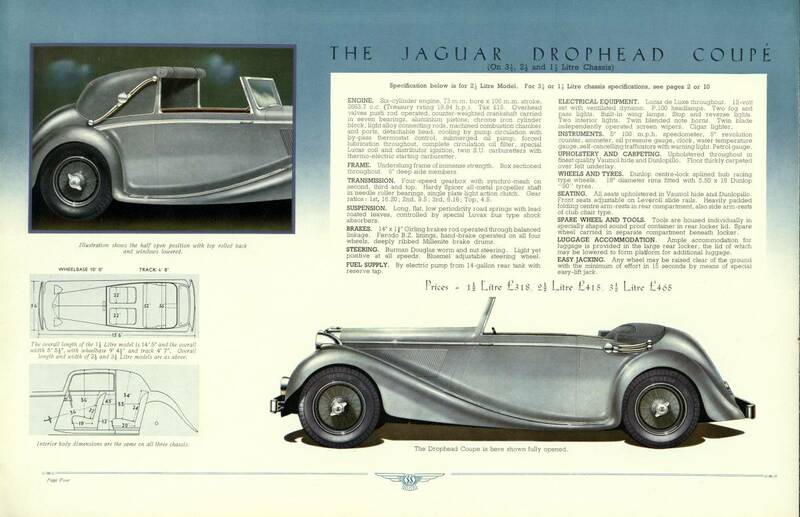 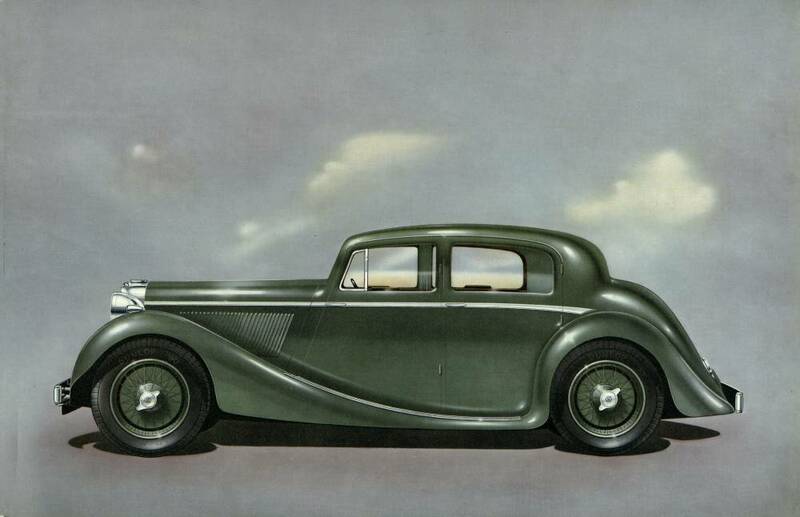 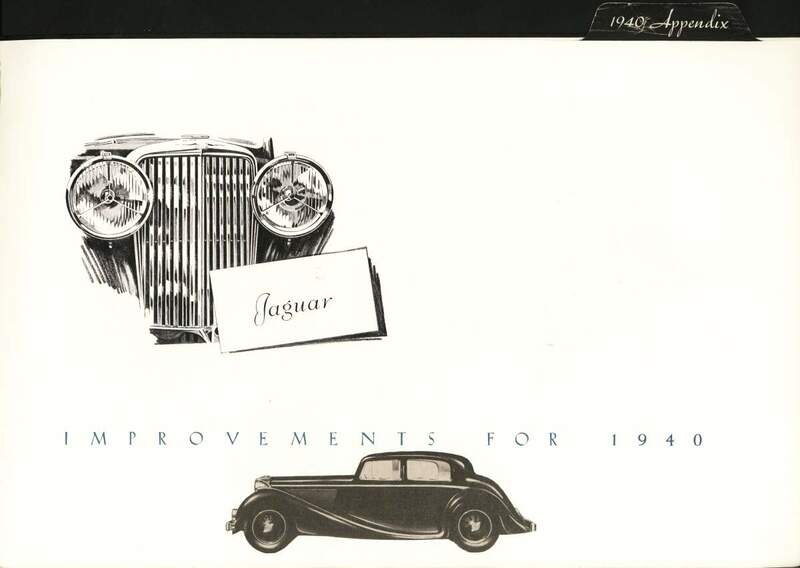 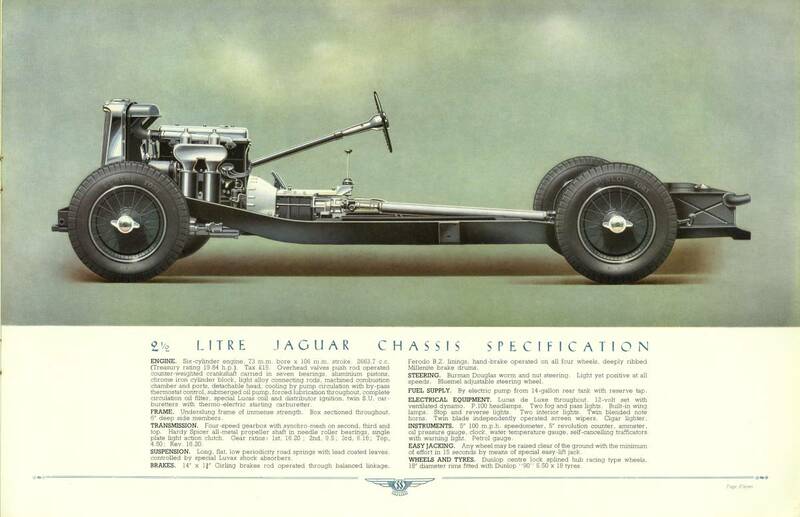 There is also a similar but miniature version (actual size is only 10x7cm) of this catalogue produced just after the war for 1946 - scarcity of paper forced the small size for which Jaguar apologised!